Ralph Montgomery, father, grandfather, husband, brother, son, superb scientist, supportive colleague, great friend, frustrated golfer, and avid fisherman, passed away on September 3, 2015 after a short battle with cancer. His wish was that we remember him fondly and remember to enjoy life. Ralph was 68. Anyone who has participated in efforts to protect and study Charlotte Harbor and the Peace River knows of Ralph’s work. He merged his love of the water and the organisms in it with his work and his life. He worked diligently for the past 35 years to establish science-based management for the Charlotte Harbor and Peace River basins. 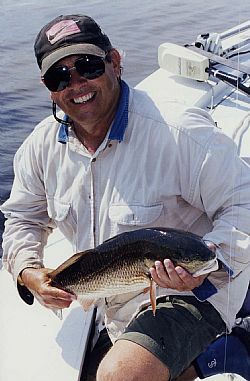 Ralph lived in Port Charlotte with his wife Lenore and loved to fish his home estuary! Ralph was awarded his PhD from FSU in 1978 and his B.S. from the University of California at Davis in 1970. Much of his work has been associated with evaluating long-term patterns in rainfall and stream flows with respect to potential impacts associated with water withdrawals for public supplies and various changes to upstream land use. Ralph has been an environmental consultant, expert witness, director of an environmental laboratory, and teacher (biology, botany, zoology, bacteriology and marine biology) over the course of his 35 year career. He has worked in the fields of hydrology, phytoplankton ecology, estuarine and wetlands ecology, statistics, and even viticulture. Ralph recently retired after 17 years with PBS&J/Atkins, where he was one of 15 Senior Technical Professionals among more than 18,000 employees worldwide. Ralph’s work is well recognized in peer-reviewed journals and he has two species of diatoms named for him. Ralph is greatly missed by us all.